Build the Church on AMPed 200!! Published Friday, October 16, 2009 by MB. As a long time member of the Association of Music Podcasting, Build the Church was lucky enough to be included in their 200th episode. 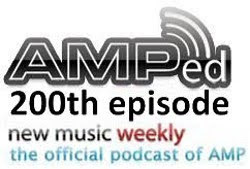 Enjoy the podcast and all the different music from various AMPed members from around the world. Find AMPed at http://musicpodcasting.org .